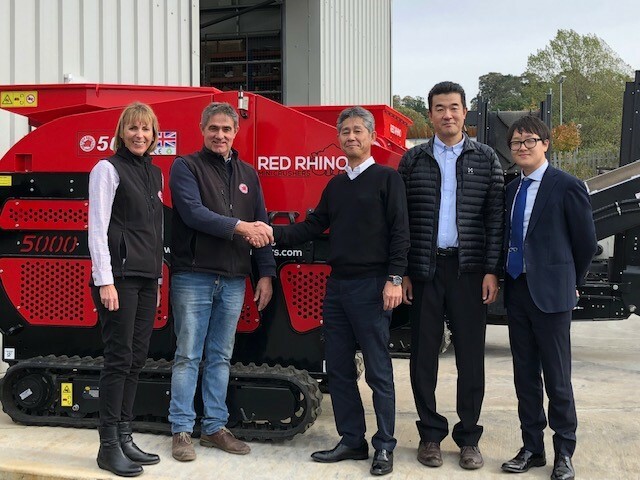 Red Rhino continue to show expansion in their dealership network by entering the Japanese recycling sector. Recently the company have welcomed delegates from Nikko Co Ltd (Tokyo) to their manufacturing facility in Grantham, Lincolnshire. 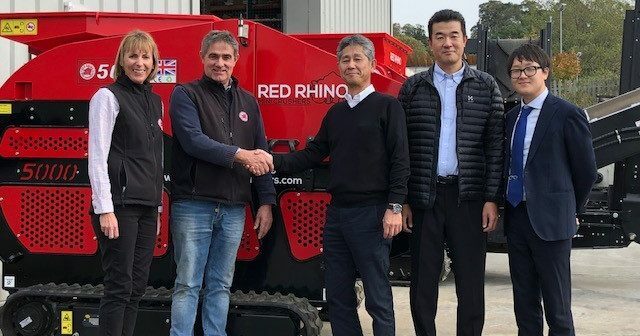 The agreement between the two companies gives Nikko the exclusive distribution of the full range of Red Rhino Mini Crushing and Screening equipment into Japan. The first shipment of the RR 7000+ and RR4000 Mobile crushers has taken place. 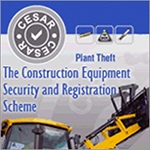 The second order of the RR3000 Electric along with two x RR2000 Static Crushers and the RR Mobile Screener were delivered shortly after. Nikko are investing heavily in their recycling business. Along- side their Asphalt, Concrete and Recycling plants they see the Red Rhino products as ‘complimentary value’ to their already established larger Crushing and Screening distribution.